Are you looking to install a new fence on your property in Scarsdale, NY? If you have been searching for the company that can serve you the best, you have found them. 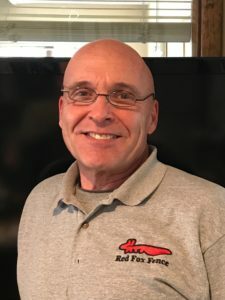 Red Fox Fence, the fence experts, are ready to assist you in choosing the best fencing products that your property needs. Installing a new fence in your property is a serious task that requires expertise for the best results. This is why you should contact Red Fox Fence today. Feel free to reach us at (845) 254-0330. Many families among the 17,000 Scarsdale, NY residents have trusted us to handle their fencing projects. We understand how important security and privacy is to the residents of Scarsdale, NY. Because of this, we put the highest quality into our work. Red Fox Fence has installed different kinds of fences for our clients throughout Scarsdale, NY. From perimeter chain link fencing, to tennis court fencing, garden fencing, and more. We design, build, and install a variety of fence types designs that can be used to secure your inground swimming pool, your garden, or even keep your property free from deer and other animals. Fencing your pool area is not just a good idea for the aesthetic value, but also for the safety measures, especially in households with young children. With our wide range of designs and our experienced team, you will definitely rest assured that the job was done correctly. It would be our honor to show you and show you some of the great designs that we can install for you, as well as our previous projects. To join our long list of delighted clients, call us at (845)254-0330 today! Scarsdale,NY is a town in Westchester County, New York, and is estimated to have a population of about 17,000 people. The town was officially founded on March 7,1788. Scarsdale has a very rich history including fighting during the American Revolution and details of this are recorded in The Spy, a novel written by James Fenimore Cooper. You can access more information about Scarsdale, NY, from a local newspaper, the Scarsdale Inquirer, which began publishing in 1901. The paper gives reports about the local happenings in Scarsdale, NY. Scarsdale, NY is ranked high when it comes to wealth rankings and is regarded an affluent town in New York. It was ranked as the third wealthiest suburb in United States by Bloomberg in 2018 and the second best for business in New York in 2016 by Fundera study. Scarsdale, NY has a public library that is in the Westchester Library System with a collection of over 147,000 books as well as audiovisual materials. Scarsdale, NY also hosts some events like the Scarsdale Concours d’elegance which is held annually and is an auto show for charity. The zip code for Scarsdale is 10583 and the central post office is at Chase Road, in a building that is listed on National Register of Historic Places.